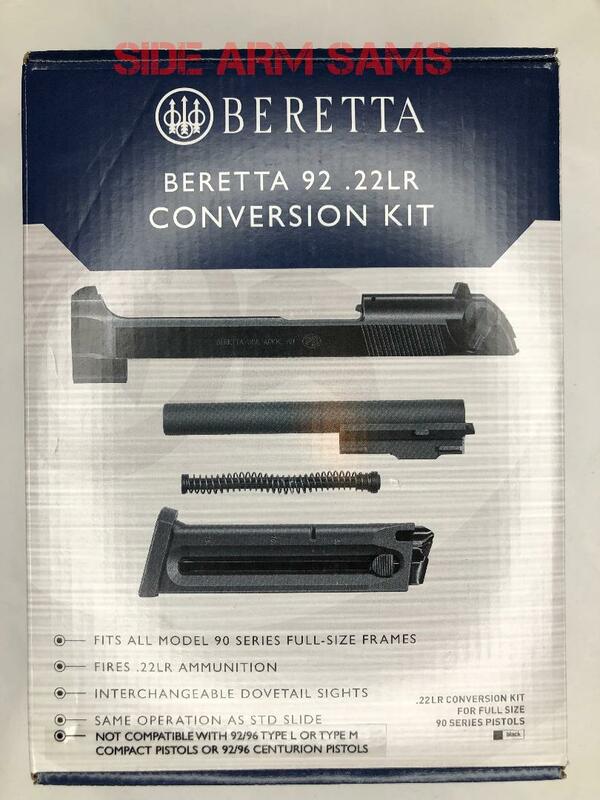 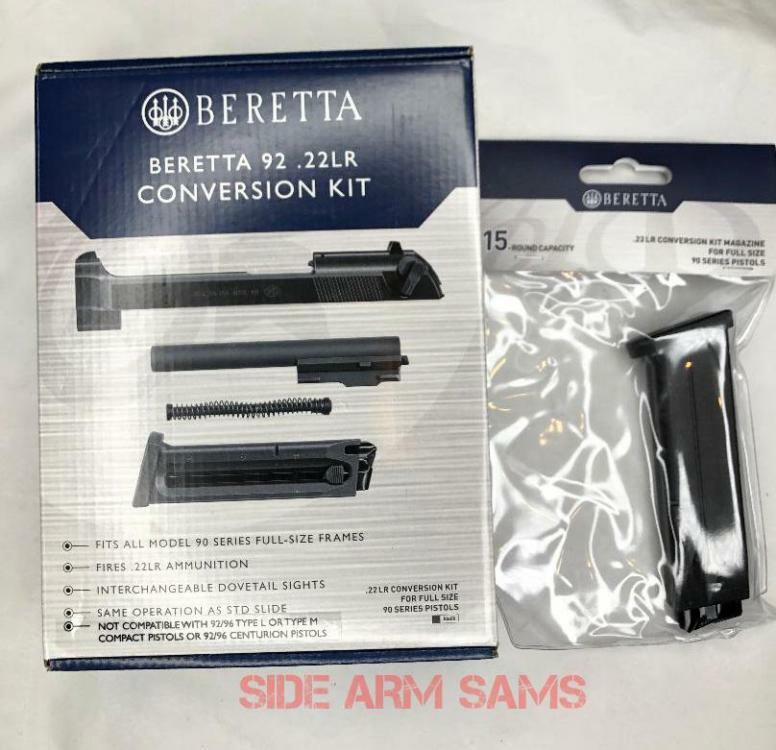 NIB Factory Beretta Model 92, .22LR Conversion Kit. 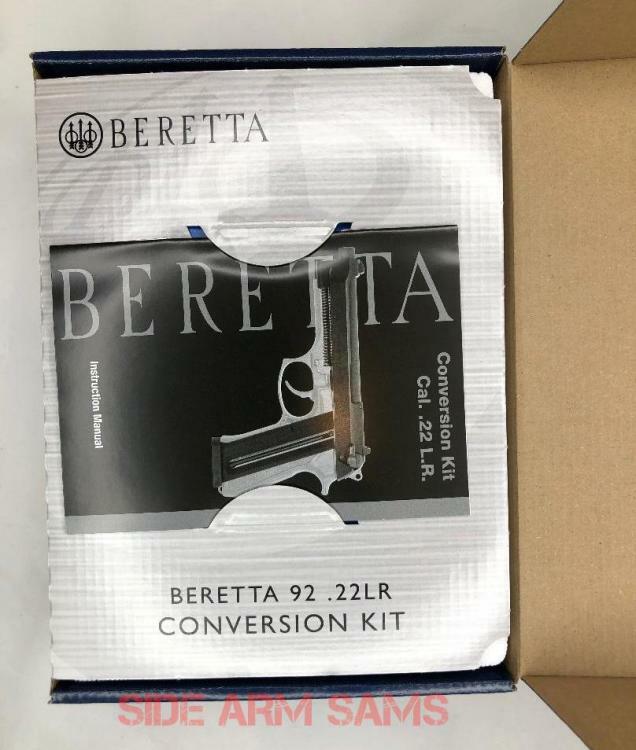 Includes Slide, Barrel, Recoil Rod & 15rd Magazine. We have included an Additional Factory 15rd Magazine with this Offering for a total of Two 15rd Magazines. 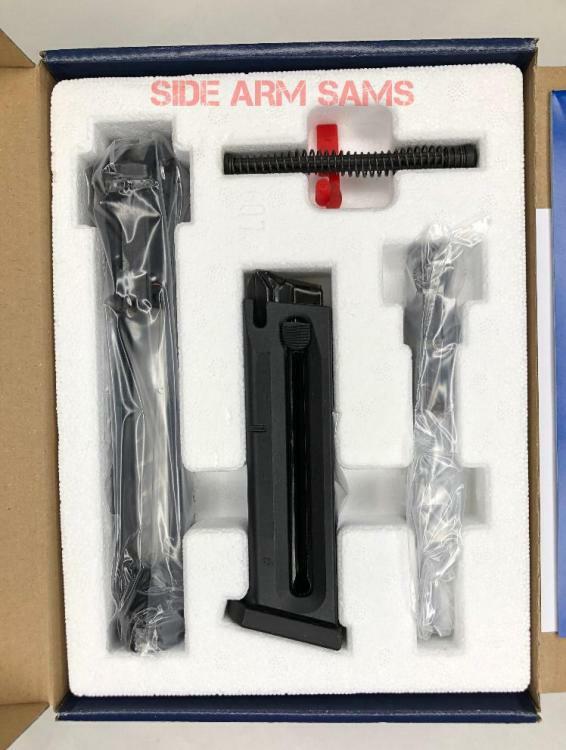 Fits All Model 90 Series Full-size Frames. ***Not Compatible with 92/96 Type L or Type M Compact Pistols or 92/96 Centurion Pistols.